After having breakfast in Mumbai/Pune, head towards Pali to begin the Ashtavinayak tour to visit the first Ganpati of the tour. 1. 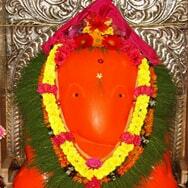 Ballaleshwar Pali:- Palicha Shree Ballaleshwar Vinayak is located 110 km away from Pune in Maharashtra. Built by Nana Phadnis in 1770, this temple was named after Ballal of Pali. Ganapati is known as Ballaleshwarhere.Standing 3 feet tall, the Ganesha idol is flanked by his consorts Siddhi and Riddhi. 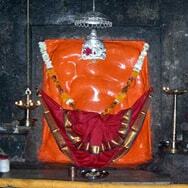 There is also another Ganesh Temple, known as Dhundi Vinayak just behind the temple which is worth a visit. 2. Varada-Vinayak:- Proceeding ahead to Mahad, the next temple of the tour is the Varada-Vinayak temple which has a 'swayambhu' – self oroginated idol of the lord Ganesha. This idol was found immersed in a lake in and was later built into a surrounding temple by Subhedar Ramji Mahadev Biwalkar.A unique feature of Mahad Varadvinayak Temple is a lamp that is glowing continually since 1892. This temple is admired for its Ganesha idol which is in the sitting position with his trunk turned towards the left – unlike the usual idols. The shrine faces East and is also known as ‘Purvabhimukh’. Statues of elephants decorate four sides of the temple and the dome has a golden pinnacle. After the holy visit to these two temples of the Ashtavinayak tour, visitors can head to Pune to their hotel for a good night's rest. After having breakfast at the hotel, depart for an excursion visit to Siddhtek and Ranjangaon. 3. Shri Siddhivinayak:- The third temple to visit hosts Lord Ganesha as Shri Siddhi Vinayak of the Ashtavinayak clan, in the Nagar district. The idol at siddhtek is believed to be 'swayambhu', not sculpted by human hands.Situated on the banks of Bhima River, covered with Babul tress all around and perched on a hillock, this temple is simply divine. Devotees often perform ‘Pradakshina’ of the hillock seven times to please the deity, despite having to go through an unpaved road with thorny shrubs. 4. Ranjangaon:- This too being a 'swayambhu' temple, has religious importance and is included in the 'Ashtavinayak Darshan'. The original idol at this temple was a huge one and to protect it from destruction, its kept hidden; while a smaller one is placed in the temple for worship. This temple is believed to be established by Lord Shiva in gratitude to Lord Ganesha, after he defeated Tripurasura. After a long day of visiting two temples of the Ashtavinayak tour, overnight stay at the hotel. After breakfast at Hotel depart for city tour of Pune. Raja DinkarKelkar Museum (showcasing nearly 20,000 various artifacts), Shaniwarwada – an ancient fort palace built by the Peshwas, Vishrambag Wada, Pataleshwar Caves/Temple - dating back to the 8th century and the celebrated DagduShethGanapati. 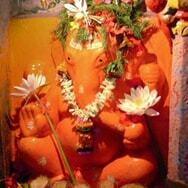 After lunch at local restaurant, tourists can continue the Ashtavinayak journey to Theur and Moregaon. 5. 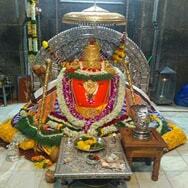 Chintamani - Theur:- Theur is 26 kms away from Pune, also known as Shri. Chintamani is one of the eight temples on the tour to pay respect to the elephant God of wisdom. 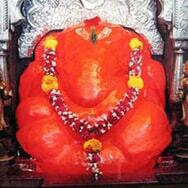 This temple is one of the largest and most famous and well celebrated one of the Ashtavinayak tour. The great MadhavraoPeshwa renovated this place. Peshwe Wada - a mansion built by the Peshwas is worth a visit. 6. 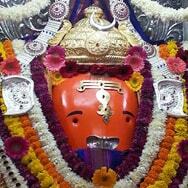 Morgaon:- Located at a distance of 64kms from Pune, Shri Moreshwar sits in the village of Morgaon. Ganesha here is also known as Shri Mayureshwar. The temple was built in 14th century by Moraya Gosavi. 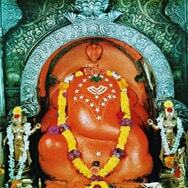 It is believed that one Should start the "Ashtavinayak" yatra from Morgaon. After breakfast at the hotel, departure by surface for Mumbai enrouteOzhar&Leynadri. 7. Vighneshwar Ozhar:- Lord Vighneshwar resides in Ozhar, a village on the banks of the Kukdeshwar village. This avatar of Ganesha is known as the remover of all obstacles. Located in the Junnar district of Pune, this ‘swayambu’ temple has a golden top gifted by the younger Peshwa Brother Chimajiappa. The diol of a running mouse inside the temple is delight to see. 8. 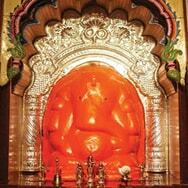 Girijatmaka Lenyadri:- The village of Lenyadri is about 96 kms away from Pune where Ganesha resides as Girijatmaka. Situated on a hill, on the banks of Kukdi river, this ‘swaymabhu’ temple has 283 stairs to climb to reach the temple; the steps being difficult to climb, it is recommended that visitors choose day light to come here. It is believed that Lord Ganapati’s thread ceremony was performed here. All the caves of Lenyadri are being taken care of by the Archeological Department of Govt. of India. Later depart by surface for Mumbai or Pune for final departure.